As far back as one can go in human religion, making sacrifice to the gods has been at the center of religious practice. The same is true of Christianity. The difference is that in Christianity, God, in the person of the Son, is the atoning sacrifice for the sins of the world. 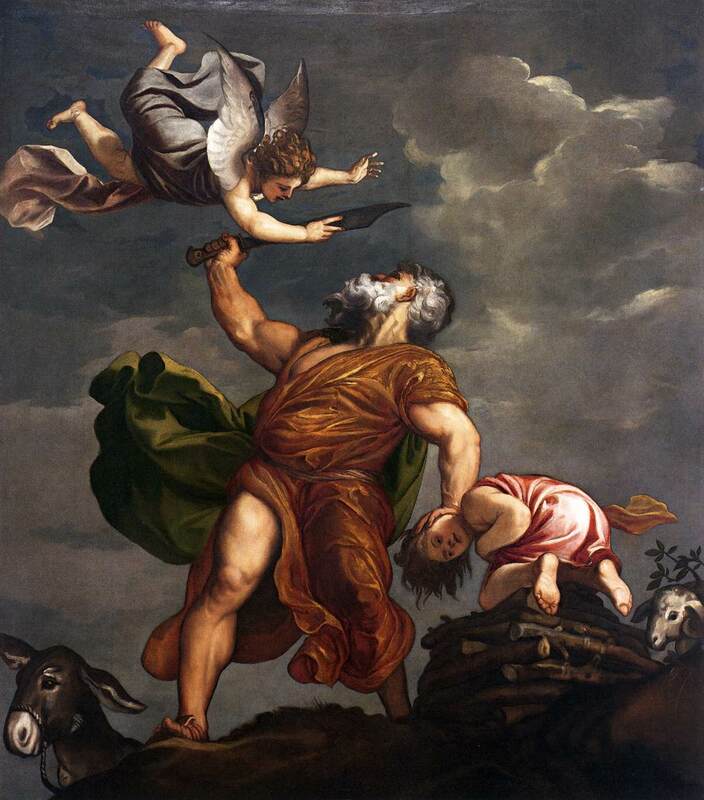 Cain and Abel Sacrifices appear very early in the biblical story, immediately after humans fall into sin. In Genesis 4, Cain and Abel both offer sacrifices to God according to their work, but only Abel's sacrifice is accepted by God. We are never told exactly why, nor do we know the reason for the sacrifice. Noah offers a sacrifice to God, presumably in thanks for the deliverance of his family on the ark. Patriarchs We read that the patriarchs built altars, but there is very little information about any sacrifices they offered. Sacrifical Practice Apart from the Passover sacrifice on the eve of the Exodus, sacrificial practice became the norm after God gave Israel a whole range of sacrifices and careful instructions on how the priests were to carry them out, especially in Leviticus. Various Reasons Sacrifices were offered for various reasons, such as thanksgiving to God, but most of them were centered on sin and guilt. This is especially true of the central sacrifice on the Day of Atonement (Lev. 16) in which the high priest entered into the Holy of Holies and splashed the sacrificial blood on the mercy seat of the ark of the covenant as an atonement for the sins of the people. Central to Temple Worship While sacrifices were central to temple worship, they also became a target of prophets and wisdom writers. Psalm 50, for example, offers a blistering attack on the idea that God can be manipulated through sacrifice, and Psalm 51 declares that the true sacrifice is not an animal on an altar, but a wounded and repentant heart. Prophet Isaiah The prophet Isaiah and others open up still another pathway, depicting a suffering servant who will be a sacrifice for sins in giving his own life as an offering for sin (Isa. 53). Jesus, the Lamb of God The gospels introduce this servant figure as none other than the Son of God who has come to us as a human from Nazareth. Jesus identifies him as the Lamb of God who takes away the sin of the world. Jesus himself seems aware throughout his ministry that he will end up dying on a cross and rising again, but he does not relate this to the Old Testament idea of sacrifice, except at the very end when he eats the Passover with his disciples. In his radical transformation of the Passover sacrifice, he is now the Passover Lamb, slaughtered to cover the sins of the people. Jesus Christ as the Final Atoning Sacrifice In the epistles of Paul, Peter, and the writer of Hebrews especially, the concept of Jesus Christ as the final atoning sacrifice comes to full flower. Jesus is the true atonement sacrifice (Rom. 3:25) through whom we have redemption by his blood (Eph. 1:7), in a once-for-all sacrifice for sin (Heb. 10:11-14). We Are a Living Sacrifice Paul also makes clear that we still have a sacrifice to offer — a living sacrifice of our bodies dedicated to God in holiness (Rom. 12:1-2), an offering of thanksgiving to God. The ascended Lord is pictured in Revelation as "the Lamb that was slaughtered" but who now has conquered and receives the thunderous praise of the heavenly hosts. And in the end, when the new Jerusalem descends from heaven, there is no temple, and sacrifices are eternally at an end in the fully redeemed new heavens and new earth. Nature of Christ's Sacrifice Much ink has been spilt over the years about the exact nature of Christ's sacrifice. Was it expiation or propitiation? Did it satisfy God's justice and wrath or express God's love? At the heart of this mystery is the fact that God assumed our sin and guilt in Christ's incarnation and crucifixion and because of that we are now reconciled to God. In this stunning act God also shows us the way we may now live in forgiveness and reconciliation with our neighbor. Sacrificial living means we offer ourselves, wholly and completely, to God. This is not a sacrifice in which we lose ourselves, but one by which we gain our true identity and purpose.